Mental health trust Southern Health has blamed government funding pressures for its failure to stop vulnerable patients from gaining access to a rooftop – leaving one with ‘life-changing’ injuries after a fall. 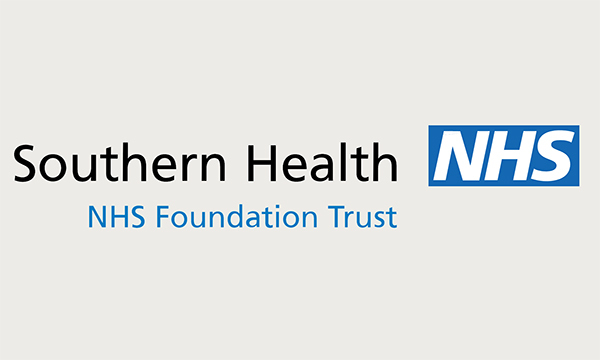 Southern Health NHS Foundation Trust has blamed government funding pressures for its failure to stop vulnerable patients from gaining access to a rooftop after a man was left with ‘life-changing’ injuries after a fall. One of the largest mental health trusts in England was fined £125,000 at Basingstoke Magistrates Court after it pleaded guilty to failing to provide safe care and treatment and failing to assess risk to patients at Melbury Lodge at the Royal Hampshire County Hospital, Winchester. The trust was also ordered to pay £36,000 in court costs and a £170 victim surcharge. Health regulator the Care Quality Commission (CQC) brought the case against the trust. Paul Greaney QC, prosecuting for the CQC, said Southern Health failed to take action to prevent patients from gaining access to the low rooftop between 2010 and 2016 on at least seven occasions, despite warnings from its own health and safety officer. The case comes after a patient, referred to only as Mr AB, aged in his 60s, fell from the rooftop in December 2015, sustaining serious neck injuries. District judge Lorraine Morgan said: ‘It’s a significant concern that even this tragic incident involving AB did not result in immediate steps to prevent any further incident. Judge Morgan said in deciding the level of the fine she took into consideration the trust's financial situation, its guilty plea and improvements to its management procedures. Mr Greaney explained Mr AB’s fall came after the patient previously climbed on to the rooftop during a paranoid episode, and his wife had advised staff the previous day he was at risk of attempting to escape again. Mr Greaney said: ‘It follows that not only was a person responsible for health and safety at the trust plainly aware of the problem by April 2012, he was proposing that steps be taken to remedy it. Mr Greaney said that despite Mr AB’s fall, the trust failed to take action and three patients gained access to the rooftop 11 weeks later, with one sustaining an arm injury and another managing to escape to France. He said works to prevent access to the rooftop had now been carried out. Paul Spencer, defending, said the public spending ‘squeeze’ contributed to its failures to assess the risk and carry out essential works at the hospital, which is one of its 150 sites. ‘It’s without doubt that one of the factors was the desire to save money. It is in a critical financial position,’ he said. He said the trust, which is operating in deficit, faces a daily running costs of £810,000, with daily NHS interest payments of £20,000. Mr Spencer said the cost of running Melbury Lodge was £3.6 million per year and the cost of recent refurbishment to provide improved safety features at the centre was £1.5 million, including £300,000 to prevent access to the rooftop carried out in May 2016. CQC chief inspector of hospitals Ted Baker said after the hearing: ‘There can be no excuse for this failure by Southern Health to protect their patients from harm.